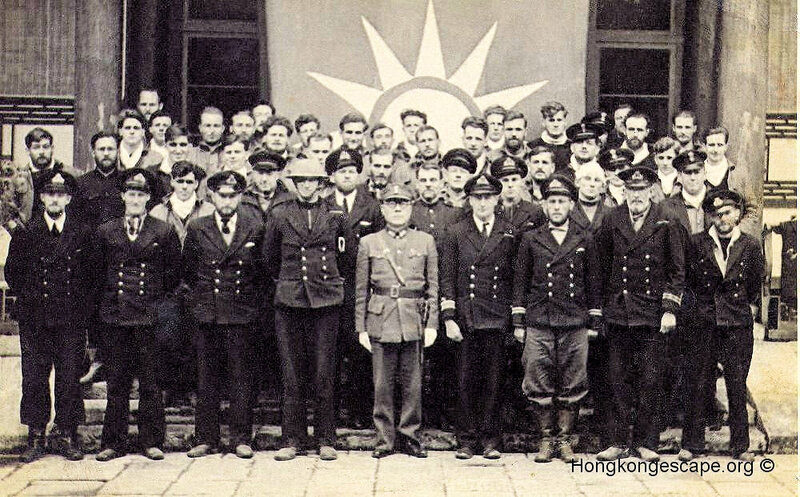 Sub-Lt Legge had lived and worked in Shanghai since 1933 where his widowed mother Alice, a school cookery and Swedish gymnastics teacher, had married a Danish sea captain, Jens Elster. David was fluent in Cantonese, acting as one of the interpreters during the escape. 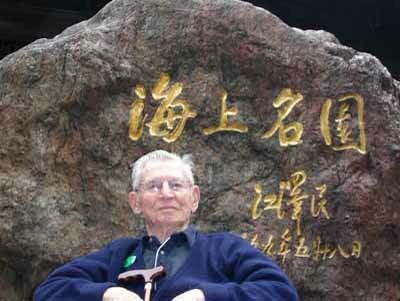 When David arrived in Kukong he met a part time trainee nurse who knew his mother Alice (Dotsy) in Shanghai. 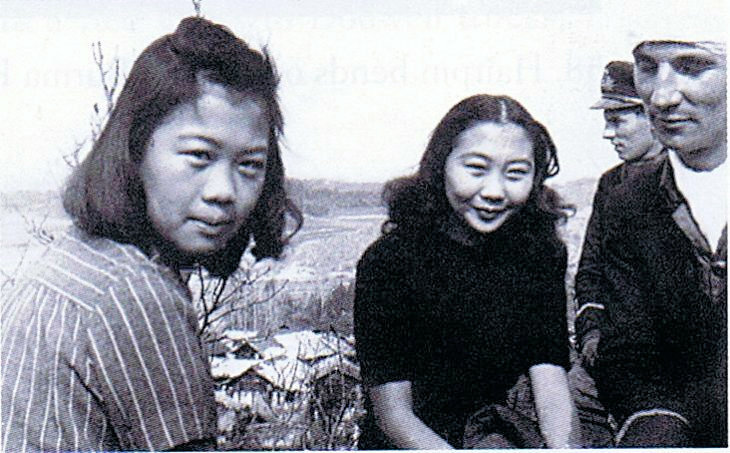 She wrote a letter in Chinese for added security to his mother confirming David's arrival in Kunming, and that of his chum Holger Christensen. 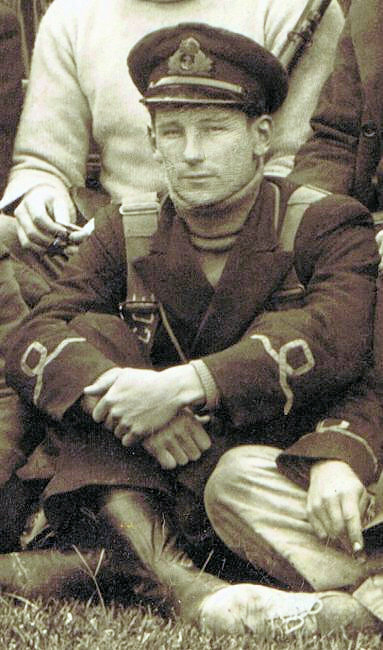 While in Kunming, David, along with Lt Pittendrigh and Sub-Lt Gee received orders to fly to Chungking and report to the British Embassy to work in the cypher department. "Then I found what a mistake I had made. The Embassy grabbed me without so much as a by your leave and shoved me into their cipher office. There was of course no naval authority to whom I could complain. I was stuck there for two months before I made such a nuisance of myself that they let me out". He was commissioned into the Imperial R.N.V.R. 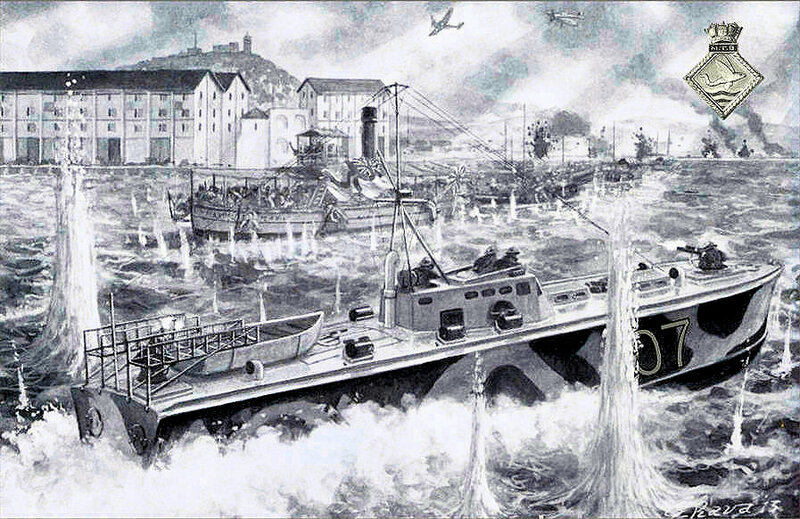 in 1943 and joined the Naval Intelligence Division, Admty [HMS President] 1943-1946. 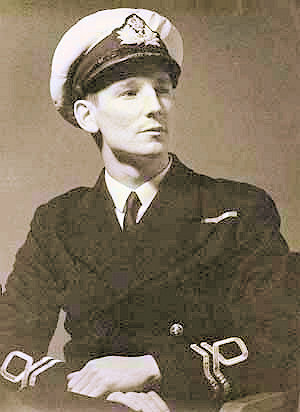 Lieutenant Commander Gandy R. N. (Rtrd) had prevailed against all the odds, and triumphed over adversity to deliver his people back to freedom without loss of life or serious injury after evading capture and escaping from Hong Kong on Christmas Day 1941. 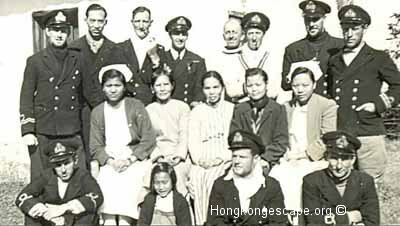 Front Row: Sub-Lt Gee HKRNVR, Sub-Lt Brewer HKRNVR, Sub-Lt Legge HKRNVR, and nurses at Waichow. To read more on David click here. Davo passed away aged 90 on the 19 March 2007 in Auburn, California. Davo was a California resident for over 50 years. After long careers with British-American Tobacco and B.O.A.C. (British Airways), he was widowed (no children) and remarried at age 62. Davo was an active boater and traveller, and a docent at California Academy of Sciences in S.F. He became a US citizen at age 64. 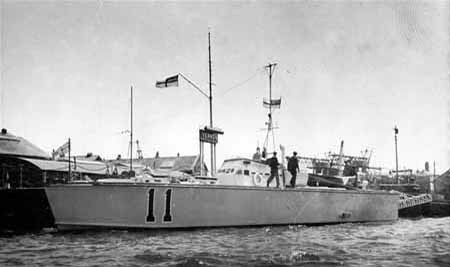 10.36; Dropped depth charges; 9 seconds. 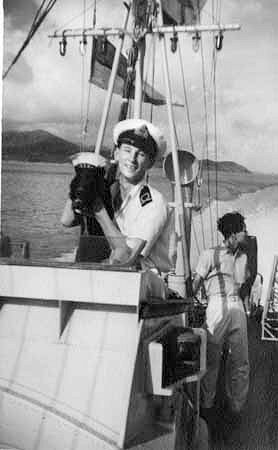 Sub-Lt David Legge with the ships dog Brucey. Some of the Officers enjoying a day out in Kweiyang with their female hosts including Dr Lim's 15 year old daughter Effie in the tartan kilt. 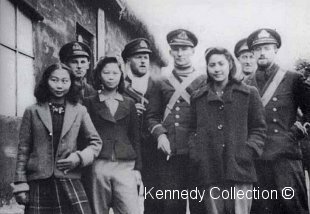 Sub-Lt Gee & Legge were both brought up in Shanghai and spoke Mandarin. 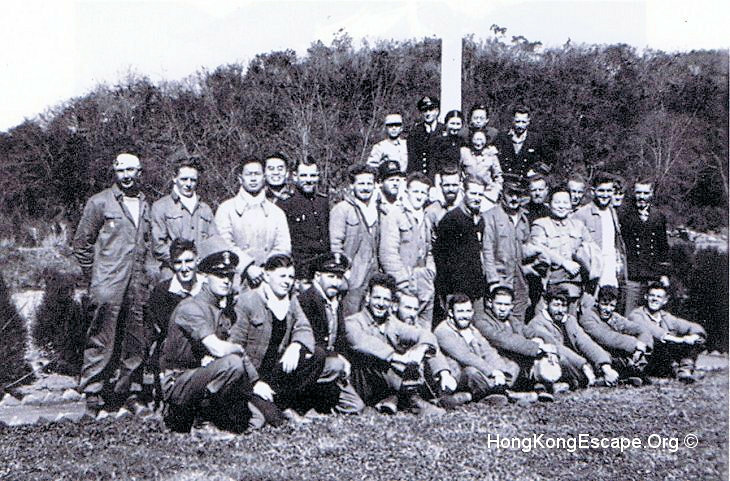 The officers left to right are Sub-Lt Gee [MTB 07], Sub-Lt Brewer [MTB 09], Sub-Lt Legge [MTB 11], Lt Parsons [MTB 27], & Lt Alexander Kennedy of MTB 09, the author of the self-published book "Hong Kong Full Circle 1939-1945." Lt-Cmd Yorath with officers & ratings visiting Huaxi park. Sub-Lt Legge is standing on the left wearing a boiler suit and sporting a head bandage. Davo with his head bandaged after the truck he was traveling in turned over two days earlier. Born in Hayes, Kent, England, he lived in Bangalore India as an infant, where his father was a paper importer. 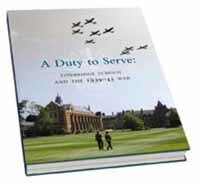 Most of his schooling was in England; he attended Heathfield Preparatory School near Hayes, Cheltenham College, a military training school near Gloucester, and Tonbridge School in Kent. He spent summers with cousins, working at farm jobs. 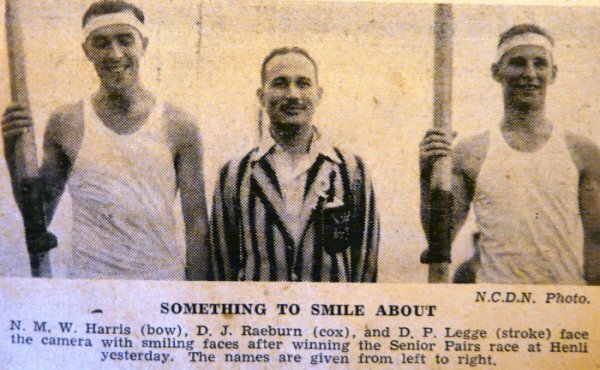 He excelled at swimming and rowing, and enjoyed soccer, rugby and mischief.